Mumbai: Eros Now announced today that it is now available on the LycaTV platform. LycaTV is the world’s largest over-the-top (OTT) ethnic entertainment provider. 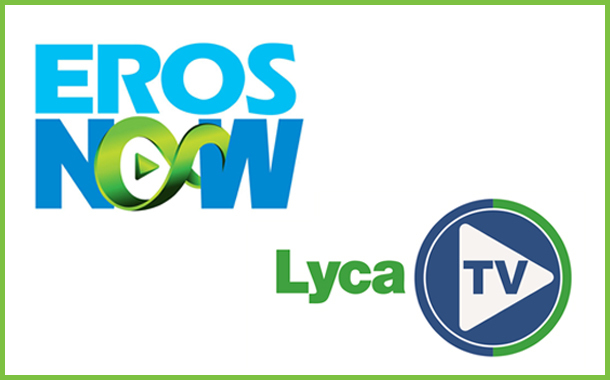 The launch of Eros Now will provide LycaTV customers with access to the world’s largest collection of premium Indian entertainment with hundreds of titles in several languages. This development further enhances LycaTV’s offering to customers, particularly across its Indian consumer base. The service will be included in Tamil, Sinhala and African packages and will be available for a small additional fee in others. Lyca Group is a British multinational corporation delivering the world’s largest range of services and products to ethnic and expatriate communities across telecommunications, financial services, travel, healthcare and entertainment. Lycamobile, Lyca Group’s flagship company, was founded by entrepreneur Allirajah Subaskaran in 2006. LycaTV is a part of Lyca Media, Lyca Group’s entertainment business which also includes Lyca Radio, one of the largest Asian radio networks within Greater London. It currently runs three radio stations, including Lycaradio 1458, Lyca Dilse Radio 1035 and Time 107.5.